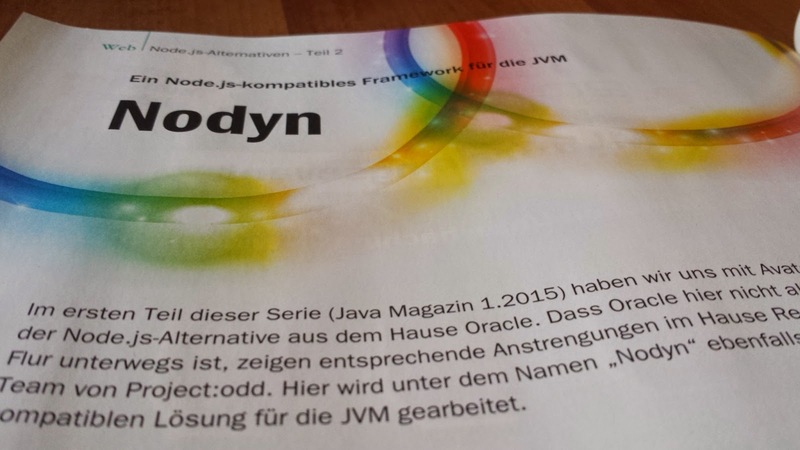 There’s my new article about Nodyn and its Vert.x integration in (german) Java Magazin 3.15 (official release date: February 4th, 2015). Just get your issue and read it! Feedback is highly appreciated! Probably there will be an english translation available later! I’ll keep you updated!